Does your canopy top have holes in it? Is it ripped or faded? Just not the color you want? Maybe you just want a spare. A canopy top replacement can be the perfect solution if your canopy frame is still in good condition but the top has seen better days. 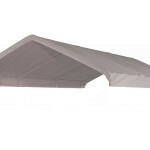 Whether your top is worn or you just want to change the color there is often no need to buy an entirely new canopy. Just replace the canvas. There are replacements available for a wide variety of frames that can save you money and extend the life of your canopy. When replacing a canopy top you want to make sure you are getting a replacement top made with top quality materials at a great price. You also want to make sure you get exactly what you need and the service you deserve. 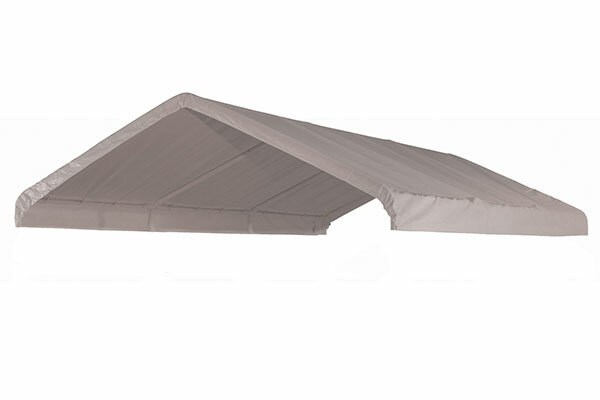 There are canopy top replacements for a variety of canopy frames including carports, carnival tents, pop-up canopies and more. In addition to replacement tops we also offer replacement sidewalls, ends and screens for many frames and manufacturers. We offer an illustrated guide to help you measure your canopy and assure you get exactly what you need. Don’t throw that good frame away just because the top has a little wear and tear. We can help you find the right solution for a replacement top that will keep you cool and dry this summer. Visit our website or contact us for more information on how we can help you save money and extend the life of your canopy, whether for work or play. This entry was posted in canopy replacement cover, canopy replacement covers and tagged canopy replacement covers on January 31, 2017 by Canopies Tarps. When camping in a tent, it is important to be prepared for unfavorable conditions. Using tarps is a great way to protect both you and your tent from the elements. There are three important reasons you should consider bringing a few tarps on your next campout. Even when you are vigilant about clearing out rocks and debris before pitching your tent, the bottom of the tent will be susceptible to rips and tears once a little weight is placed on it. Laying a heavy-duty tarp on the ground before setting up the tent will provide a much-needed layer of protection. The tarp’s corners can be folded in if needed to allow for stake placement. The simple step of placing a tarp on the ground will allow you to enjoy your tent for years to come. Most tents are not designed to withstand substantial rainfall, which is why securing a tarp over the top of the tent is often necessary when precipitation is expected. Placing a large tarp underneath the tent and pitching the tent on a slight incline will allow the water to run off as opposed to pooling around the tent. Anyone who has camped at Northern California beaches knows what a nuisance wind can be. To keep everything from blowing away in windy areas, you can easily set up vertical wind blocks using tarps and some rope. The use of canvas tarps is the best way to preserve your valuable gear and keep you from being rained out or blasted by wind on your next camping adventure. This entry was posted in canvas tarps and tagged Canvas Tarps on January 31, 2017 by Canopies Tarps.